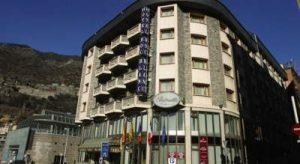 Escaldes Engordany is in the principality of Andora and is in the very heart of Andorain the Pyrenees. Notable events include the town’s annual jazz festival see video. Avinguda del Fener, 14, Escaldes Engordany Accommodation. Plaça Co Princeps 5, Escaldes Engordany Accommodation. 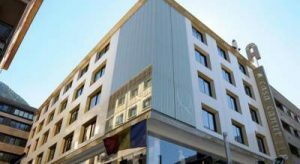 Roc Blanc & Spa is located in Escaldes-Engordany, only 5 minutes’ walk from Andorra la Vella city centre. 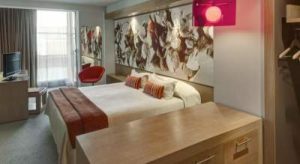 The hotel features a spa, 2 restaurants and stylish rooms with allergy-friendly materials. Available at an extra cost, the hotel spa has a range of beauty and health treatments. Guests can make use of the indoor swimming pool, hot tub, Turkish baths and terrace. The Roc Blanc’s mountain-style El Pi Restaurant has a fireplace, while the à la carte Entrecote Restaurant serves meat dishes. Roc Blanc & Spa is just 5 km from the nearest ski runs at Soldeu and 15 km from the Grau-Roig Ski Resort. 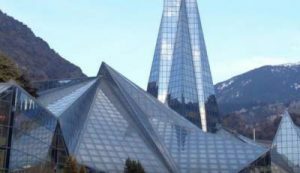 Caldea and the main shopping streets of Escaldes-Engordany can all be reached within 5 minutes’ walk from the hotel. Escaldes-Engordany is one of the parishes of Andorra. The parish is composed of the areas of les Escaldes, Engordany, Vilars d’Engordany, Engolasters, and El Fener. As of 2005 it has a population of 16,918. Notable events include the town’s annual jazz festival. Shakin’All: El swing més salvatge Setmana de jazz d’Escaldes Engordany. Take A Break Holidays takeabreakholiday, Escaldes Engordany Accommodation.